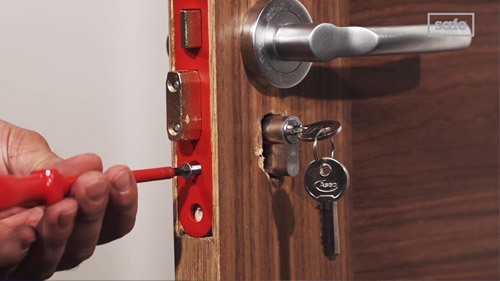 Do these locks all use with the same key, or are the keys unique for each lock? As standard, each lock is keyed to differ with unique keys. You can chose to have keyed alike locks by selecting the option at checkout. Does the ERA 262-61 sashlock have a fire door rating? Unfortunately the ERA 262-61 sashlock does not have a fire rating. 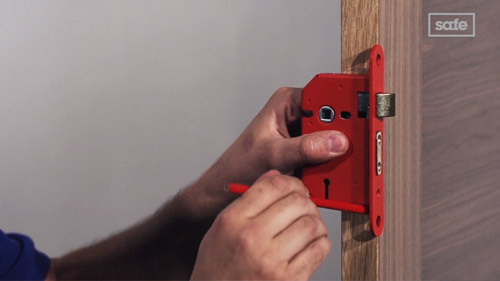 This lock is suitable for door thickness between 28mm and 44mm doors. Where a set of say 3 locks is keyed alike, how many keys do you supply and what is the cost of additional keys? If all three locks are to be keyed alike then you would only receive 2 keys in total, additional spare keys can be purchased at the time of order and prices are available on the Accessories tab of this page. Looking to replace an ERA 3 lever mortice lock with reversible latch (sorry no part number) with a similar 5 lever. Will the various dimensions be the same ? Many locks are similar in size but it is advisable to measure the case height, depth and backset of the existing lock. You can check your measurements against the locks on our website or you can call our experts on 0800 432 0722 if you need any further assistance. Hi, hope you can help I am Just wondering is it possible to order 3 off these sash locks together with an Era 261 deadlock all keyed alike please? Yes all three units can be keyed alike. Please be advised that keyed alike locks only include one set of keys regardless of how many locks are ordered. As the locks are upgraded delivery would be 3-5 working days. I am looking for a Euro lock equivalent to your lock ERA-262-67 but I can't find one the same size. Do you have one? From the same brand you could choose this one, ERA 264 Fortress - BS Euro Cylinder Sashlock (67mm), but this model includes the cylinder (35-35). If you have an existing cylinder or that isn't the correct size cylinder the Union JL22EU StrongBOLT - Euro Cylinder Sashcase (68mm) would be the best option.